I have came up with a cool idea for my blog site. Each month, I will do a Q&A session interview with a different local band. This month, I will start off with a Q&A session interview with Albany local rap and R&B band, Ill Funk Ensemble. 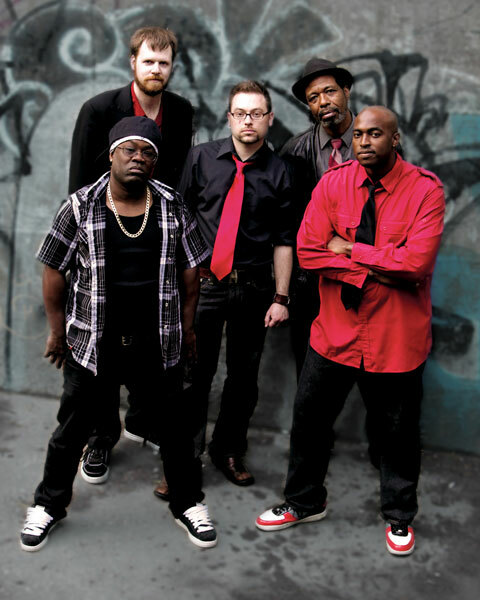 They are a five piece band that is fronted by, Jermaine Wells, who is a local rapper, and he is also an actor. This band does a mix of both covers and originals at their live gigs. They are fun, entertaining, and you can dance to their music. So if you go check out a show of theirs, be sure to bring your dancing shoes! When did the band first form? 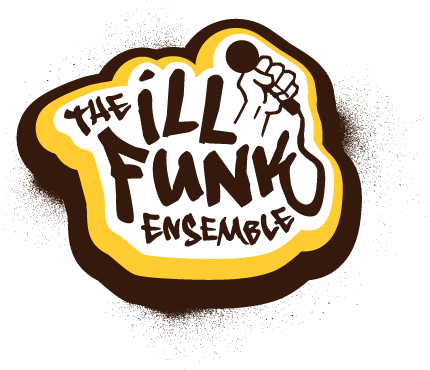 Ill Funk formed in 2005 with the idea to create a live hip-hop R&B experience in the Albany area. How did you guys find each other to form a band? BJ hand-selected the members of the band because of their combination of professionalism, musical ability, and positive personalities. What made you want to start a rap/hip hop/R&B band? It’s a genre we love and is underserved in the area. You guys do a mix of originals and covers both, who does the writing for the originals? Does Jermaine do all the writing or all of you guys write together? The originals came from Jermaine and BJ writing the outline of the song- chord progression, lyrics, flow- and then they present the songs to the band to create the whole sound. You just released a brand new song called, “Summertime”. What inspired you to write that and what is the song about? Our best moments have occurred in the summer, and we’re pretty sure people relate well with the subject. Got any crazy road stories to share? We plead the 5th Amendment. What other local Capital District bands do you support around here? We’re big fans of The Getdown, Soul Session, The Hillbilly Horns, and IMI, but there are loads of others we respect and enjoy performing with! Since you released, “Summertime”, does that mean you got a new album in the works? When do you expect the new album to be released? Right now, we’re focused on getting Catching Wreck to be the biggest album that it can be. We’ve received a number of great reviews from media types and fans alike, so we’re running with that for the time being. Jermaine and BJ are always full of ideas, so the next album won’t be far off! How did you learn to rap and how long have you been rapping for? Jermaine Wells: I started writing poetry at 5 and rhyming at that point. I have always been a writer and a fan on rap. Who are some of your favorite rap artists of all time? Jermaine Wells: I am a fan of Jay-Z, Big Pun, Nas, Biggie and Pac and others but these are my favorites. Do you like Eminem at all? What do you think of his new album, “Recovery” if you’ve heard it yet? Jermaine Wells: I have alot of respect for Eminem. What I like most about him is his ability to create what he feels freely. I have not heard the Recovery yet. What do you like to do in your free time other than music? Jermaine Wells: Other then music, I write books, stories, etc. I also volunteer and help youth. Do you like any other type of music other than rap and R&B? Do you like rock n’ roll or other genres? Jermaine Wells: I am a fan of good music. So I do listen to many genre’s of music. On your website, it said, you are also an actor, do you want to be a movie star one day or is your main focus is on music? Jermaine Wells: The plan is to do movies and TV in conjunction with the music. I started acting before doing music. I would like to thank the band for this opportunity in working on this Q&A for this blog.